For the 2015 holiday season we’re proud to announce that “Dispatch from Disneyland – Stories and Essays from the Happiest Place on Earth” is available exclusively on Amazon.com. You’re now able to purchase the book in print for less than $10, on Kindle for less than $5, or even read the book for free as part of Amazon’s Kindle Unlimited program for Amazon Prime members. With the holidays coming up, this makes the book the perfect gift for any Disney fan on your list. 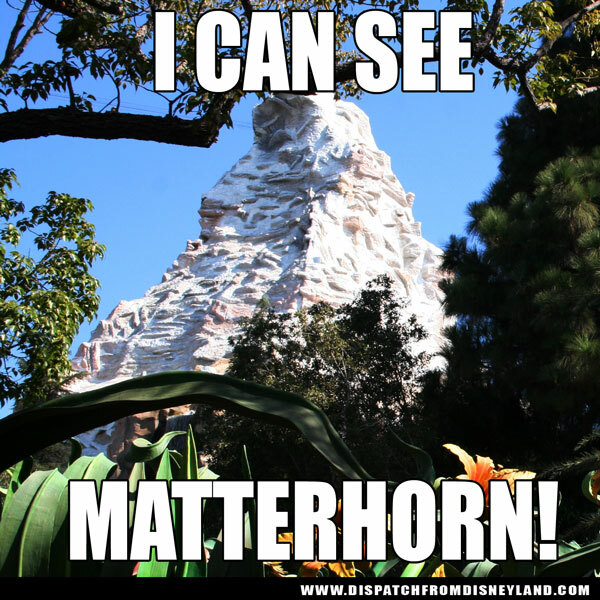 On every childhood trip the Frost family took to Disneyland, we played a game involving who would spot The Matterhorn first. That experience is what inspired my essay Landmarks on the Road to Disneyland. 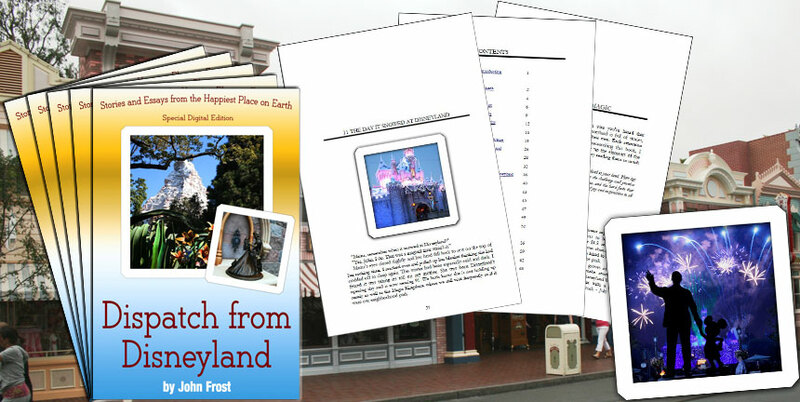 It is one of 28 stories and essays in “Dispatch from Disneyland” that are meant to help you relive a bit of the magic you feel when at a Disney theme park, even if you are many miles away. You could be enjoying these heart-felt stories and essays on your tablet or mobile device in just a few moments when you download the special edition eBook. If you want a print or kindle version, it is also available on Amazon. Big news on the book listing front. Amazon just upgraded the listing for Dispatch from Disneyland print edition. It now includes an 18 page preview. The Kindle edition has always had preview pages available. And up above is a brief look at the inside at a few of the upgraded pages the special edition ebook. 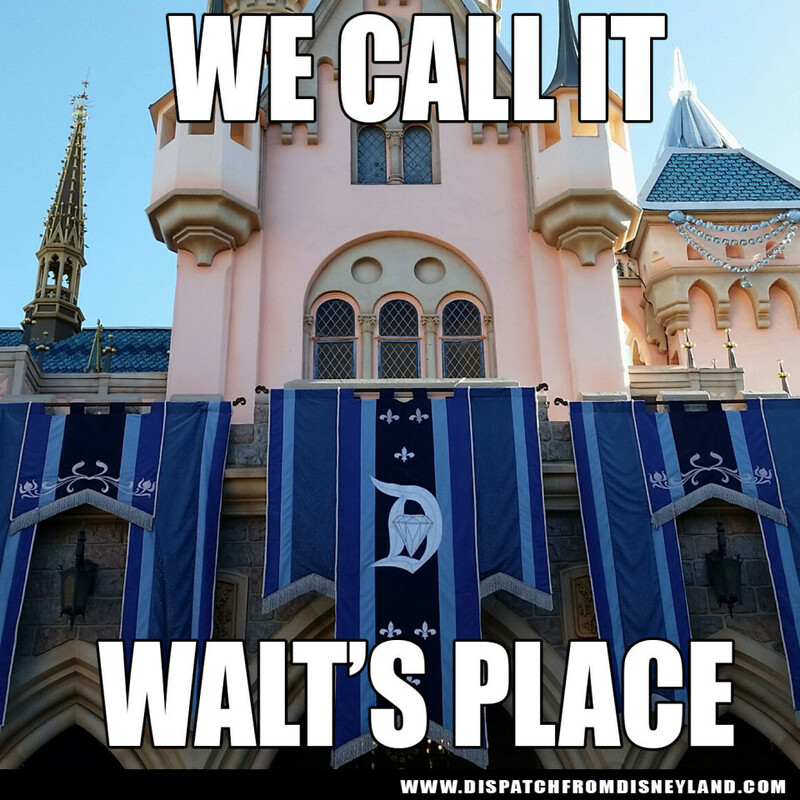 Your purchase of Dispatch from Disneyland, in any format, really means a lot to me right now. I thank you for your support. Father’s Day Gift for Disney Dad? Look No Further!